crystal globe awards, crystal globe gifts, crystal globe paper weights, custom engraved crystal globe. 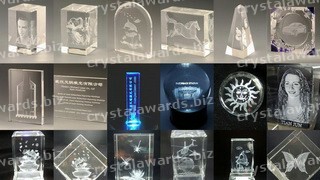 We are a professional crystal crafts manufacturer and exporter in china, and we specialized in crystal globe awards, star crystal awards, crystal diamond awards, golf crystal awards, crystal pyramids, blank crystals, crystal paperweights, glass paperweights, 3d laser engraved crystals, crystal souvenirs, corporate crystal awards, crystal keychains, crystal office gifts, crystal spheres, crystal sport trophies, crystal wine stoppers, crystal business card hlder, crystal wedding gifts, crystal cigar ashtray, crystal vases, crystal eiffel tower, etc. We serve all kinds of organizations and personal customer, our clients include many awards and crystal wholesalers, Global 500 companies, world-famous universities, international banks and other institutions. 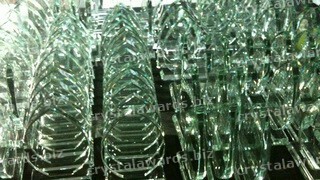 Most of our custom trophy awards and crystal business gifts are available for them. Also many global awards manufacturers, distributors and transnational corporations have been purchasing custom awards, crystal souvenirs, corporate gifts and bespoke trophies as well as many crystal promotional gifts from us. Custom design is available for us, we can produce customized trophies awards as per customers' requirements. Also OEM & ODM for k9 crystal production is available also. Customers can purchase either branded crystal or crystal blanks from us, and we can offer competitive pricing to you for bulk quantity order. Also there will be more benefits and discounts for larger wholesale orders. What's the package of your crystal awards? We use individual satin lined presentation box (with many colors are available) to wrap each crystal, and we can print your logo or custom slogan on the box. How shall we place an order? 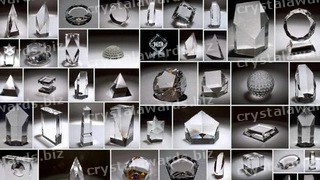 Please send item number, dimension, custom artwork and required quantity to our sales department (sales@crystalawards.biz) by email, and we will forward the quotation to you soon. For customized order, please send pictures or drawing, dimension, custom artwork and required quantity to us by email, and we will forward the quotation to you soon. Do you ship the awards by UPS or FedEx? We can do international delivery through DHL, UPS, FedEx or TNT. Can you make custom project? We make many custom design orders every season, and we can meet any of your budget. Do you have price break based on different QTY? Yes, we offer more discounts for larger quantity orders.